Saudi Arabia’s King Salman bin Abdulaziz Al Saud walks with his son, Crown Prince Mohammed bin Salman, in Riyadh, Nov. 8, 2017. As the killing of dissident journalist Jamal Khashoggi continues to be a mystery for the most part, Saudi Arabia’s King Salman is on a tour of his country, pardoning people with previous convictions, while Crown Prince Mohammed bin Salman, a figure seen by the international community as the main suspect behind Khashoggi’s murder, remains silent over the issue. This is the king’s first such tour since he ascended to the throne in 2015 and comes as the kingdom faces international pressure following the killing of Khashoggi in the Saudi Consulate in Istanbul last month. Istanbul’s Chief Public Prosecutor İrfan Fidan, who is leading the investigation, announced last week that Khashoggi, who lived in self-imposed exile in the United States, was strangled immediately after he entered the consulate on Oct.2 as part of a premeditated killing and that his body was dismembered before being removed. The case has brought near unprecedented international scrutiny on Saudi Arabia and its powerful Crown Prince Mohammed bin Salman, also known as MBS, whom Khashoggi had criticized. A Saudi diplomat told the U.N. Human Rights Council on Monday that the kingdom’s prosecutors are investigating Khashoggi’s death and will prosecute the perpetrators. “The leadership in the kingdom expressed their pain for the murder of citizen Jamal Khashoggi,” Bandar al-Aiban, the head of Saudi Arabia’s Human Rights Commission, said in Geneva. As per instructions by King Salman, “[Saudi] prosecutors started investigations in the case to reach all truths and present all defendants to justice and sentence those proven guilty of this crime,” al-Aiban added. President Recep Tayyip Erdoğan said in an op-ed in The Washington Post last week that the order to kill Khashoggi came from the highest level of the Saudi government and added that the international community had the responsibility to “reveal the puppet masters” behind the slaying. 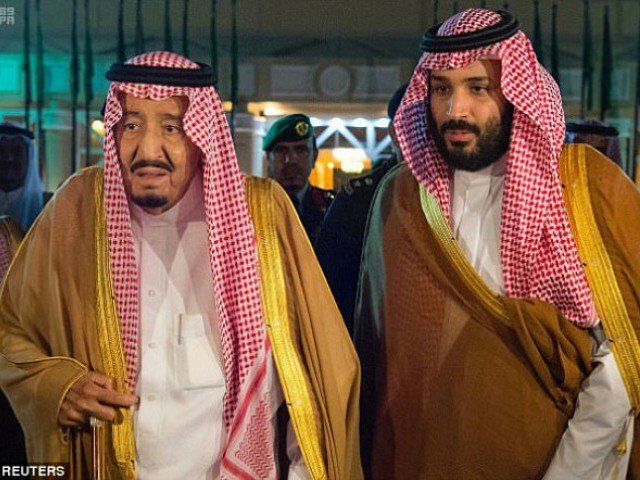 However, despite his father’s efforts to save the country’s prestige, MBS insists on his silence over the case while continuing his previous controversial policies within the country, particularly keeping some elites of the country in jail still. A full year after MBS turned the Ritz Carlton hotel into a jail for the kingdom’s elite, many still remain imprisoned, according to The Washington Post. “But other people familiar with the detentions said the number is much higher, with 45 Ritz detainees still locked up,” the newspaper said. Some human rights experts, however, say MBS is planning to release some prisoners to cool tensions emerged due to the Khashoggi case. “They don’t want to do it, but they are under pressure, and they will do it to release some pressure,” Yahya Assiri, a Saudi human rights activist living in self-imposed exile in London, told the Post. Saudi authorities released Prince Khaled bin Talal on Friday, who was critical of MBS’s decision to strip the religious police of their power, according to the Post.